Located right on the trails (TOP D102B Huntsville) Deerhurst Resort is your hub for exploring Muskoka and beyond. 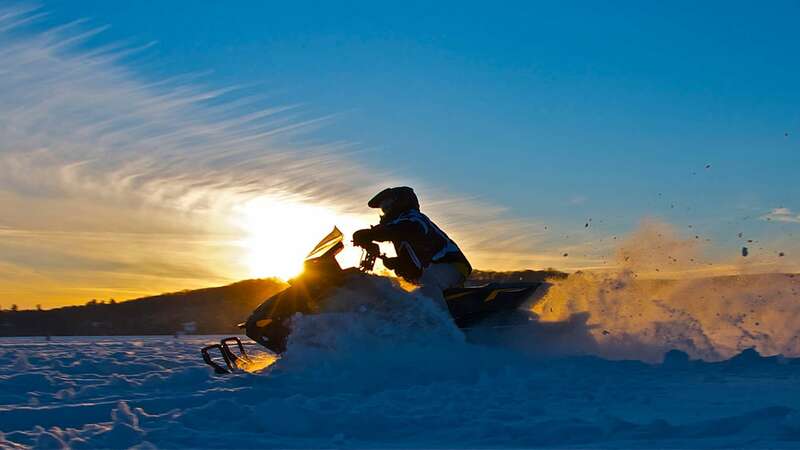 Save up to 20% on accommodation when you book a Yamaha guided snowmobile tour in advance or you bring your own sled. A nightly resort fee provides additional benefits and services. *Rate is per room, per night, based on double occupancy (two adults per room) with up to two children 18 years and under sharing parents’ room free. Rates shown are applicable to select accommodation and may fluctuate based on dates and availability. Subject to availability from January 6 to March 7, 2019, blackout dates apply. HST and resort fee are additional. Some conditions and minimum stays may apply. Deerhurst Resort is not responsible for any package components or recreational facilities made unavailable due to weather and/or circumstances beyond our control. Advance booking is recommended for show, spa and other recreational activities. For complete details, including our deposit and cancellation policy, please click here.